Garden ground lights or underground lights as they are also called are lights whose fixtures are placed underground with the light shining upward above the ground. Garden ground lights may be used in gardens, along pathways, or at the base of walls to wash up the wall creating effect lighting. 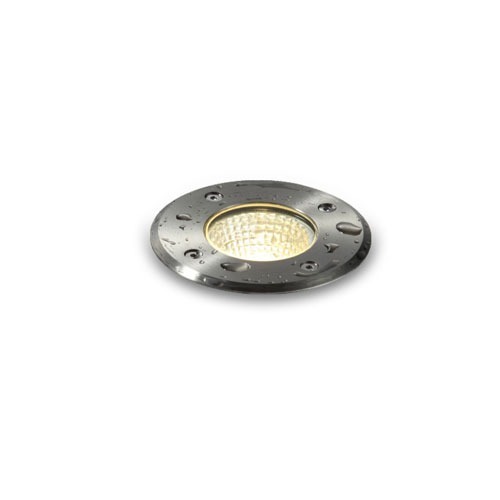 Garden ground lights are perfect for both home and commercial applications. Underground lights placed along sidewalks, pathways and driveways provides a bit of light for those using the walkways, pathways and driveways after dark. These lights provide a small measure of safety as well as offering a touch of warmth to people coming to your home or who out for a stroll in a park or the grounds of a hotel. Underground lights provides great effect lighting when place along the outside walls of your home, business or decorative brick or stone walls on your property. With more and more home and business owners using effect lighting to make their properties more attractive having ingrown lighting shining upward on walls can add a bit of ambiance to your home. Underground lights look fantastic when used to outline your patio while providing a bit of light so you can enjoy more time outdoors. Garden ground lights are perfect for gardens. You can use these lights to highlight trees and other plants in your garden as well as placing them around statutes and even in the area around ponds to light the area so that you can enjoy the wildlife that visit your garden after dark. LED ground lights also work well around the parameters of an in ground pool adding to the look of the entire area and increasing your enjoyment of your pool and the surrounding area. Energy Efficient- LED underground lights are exceptionally energy efficient. LED lights use less energy than other types of lights so you can light up your outside area without using excess energy. The efficiency of these lights allows you to light up the area you want without costing you more than you can afford. Low Maintenance- Once you have these lights installed by a qualified electrician, there is little or no maintenance you need to do to keep these lights working well. Since these lights are in the ground you do need clean off the lenses every so often to help keep you lights shining brightly. Long-Lasting- Our garden ground lights are extremely long lasting providing you with 20,000 hours of light. Here at Ultra Beam Lighting LTD we have some high quality garden ground lights available. Our lights are ultra modern and we use the latest LED technology in the designing and manufacturing of all of our LED ground lights. Should you like to order our underground lights give us a call at 0800-678-5156. Garden ground lights or underground lights as they are also called are lights whose fixtures are placed underground with the light shining upward above the ground.